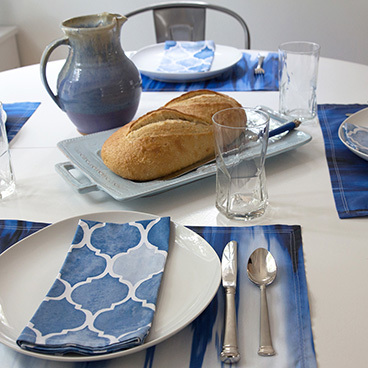 Love creating or designing with Spoonflower? 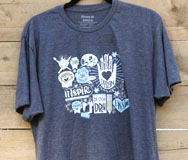 We have the perfect tee to help keep you inspired! 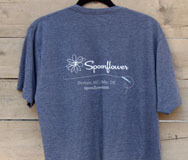 This super cozy T-shirt is the perfect thing to wear while you’re sewing up a new zipper pouch or sketching a design. 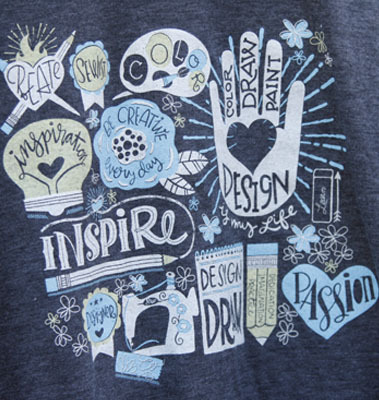 Featuring inspirational words, sewing notions and drawing tools, this shirt will show off your creativity in style. 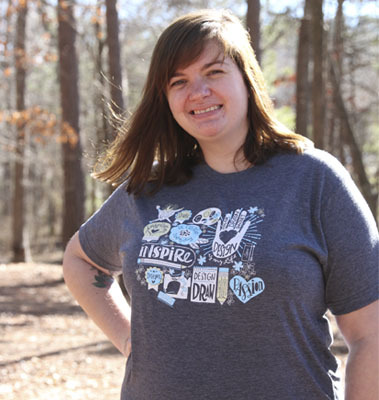 “For the Love of Spoonflower” design by Cynthia Frenette was the popularly-voted winner of the Spoonflower T-Shirt design challenge. 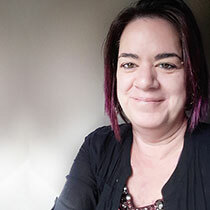 Cynthia is a fabric designer, a graphic designer/ illustrator, and an artist, painter, and maker. She lives and works in Mission, BC, Canada, with her husband and two dogs. Visit her Spoonflower shop, find her online and see more of her work at cynthiafrenette.com and on Instagram at @cynthiafrenette. 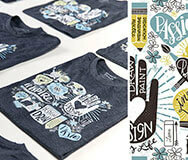 Want to see more of the T-shirt design challenge entries? 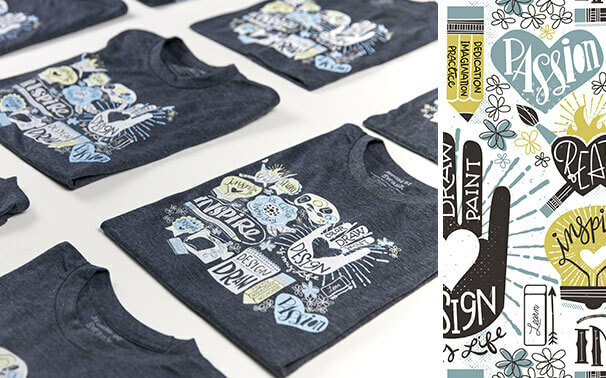 Check out the 2017 Spoonflower T-Shirt design challenge or past challenges.